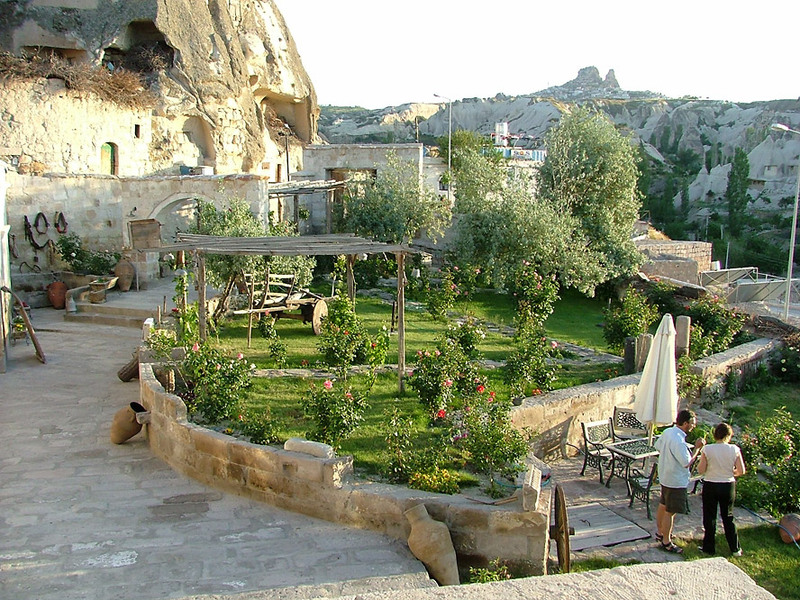 ‘Kelebek’ means ‘the butterfly’ in Turkish so called because its two fairy chimneys that rise from the rocks like the wings of a butterfly. 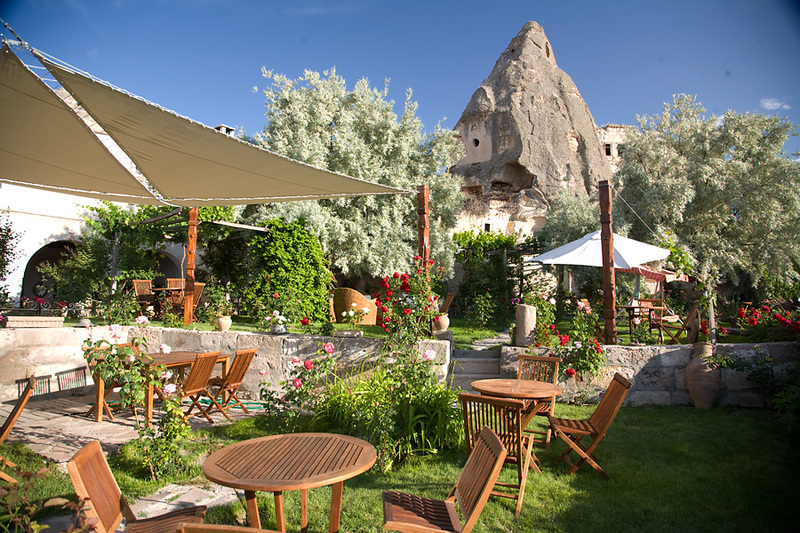 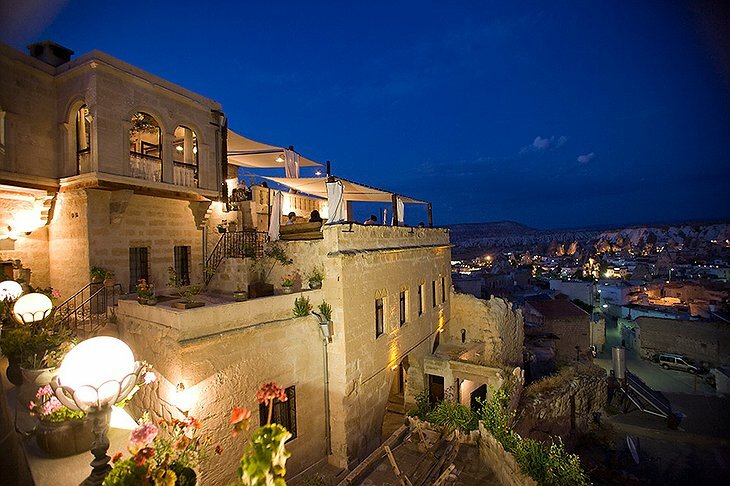 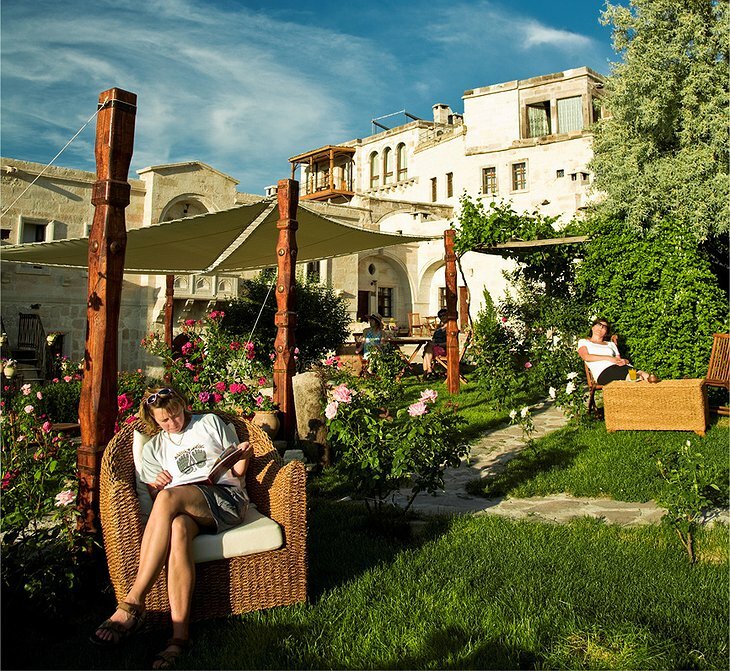 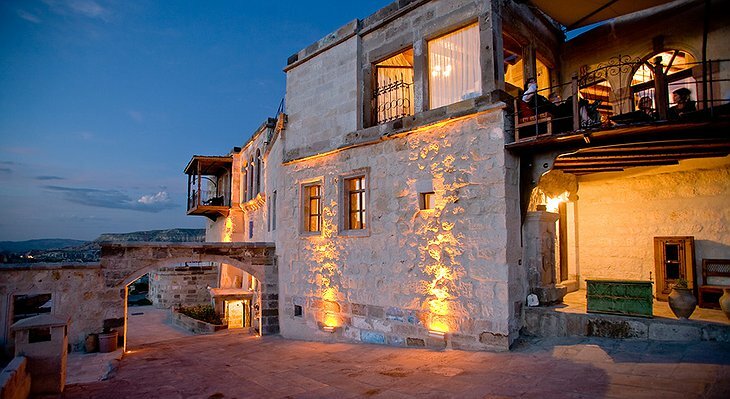 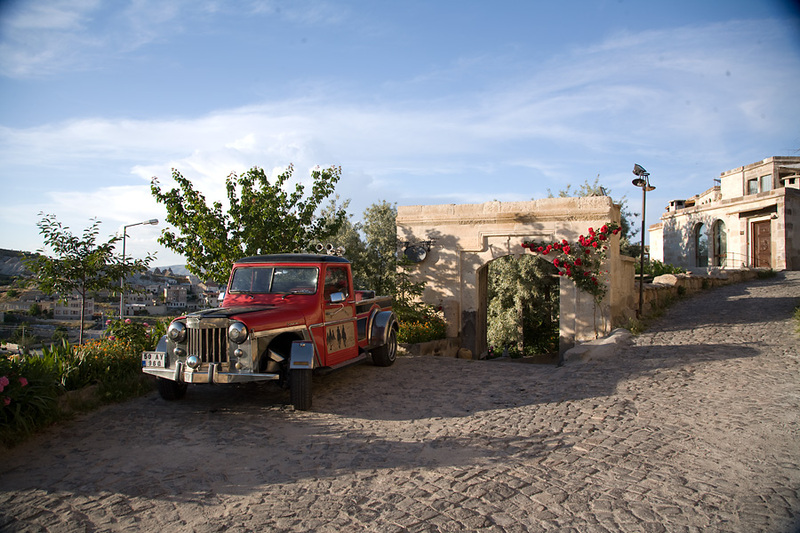 Set in the mythical lands of Cappadocia, the rock formations that created the hotel date back to a pre-historical volcanic eruption. For thousands of years, people have lived among these caverns and caves. 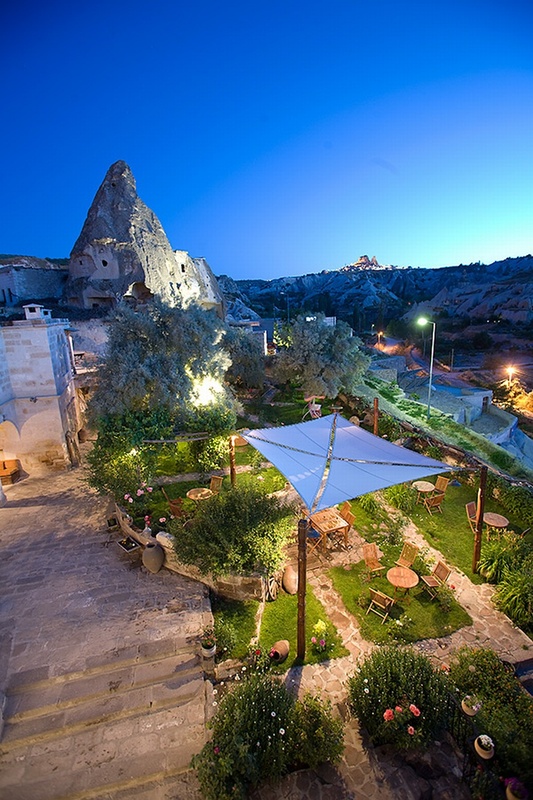 The earliest mention of the rock villages of Cappadocia is in a Persian text from 6th Century BC. The ‘Cappadocians’ are mentioned in writings by the first historian, Herodotus. 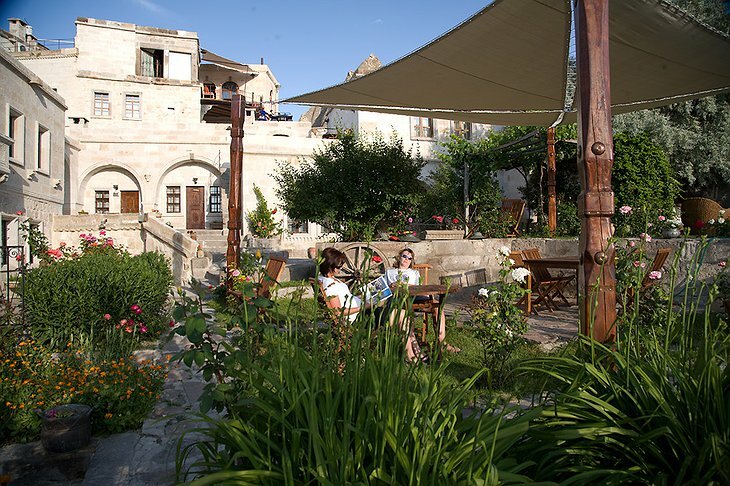 He referred to them as ‘the White Syrians’. 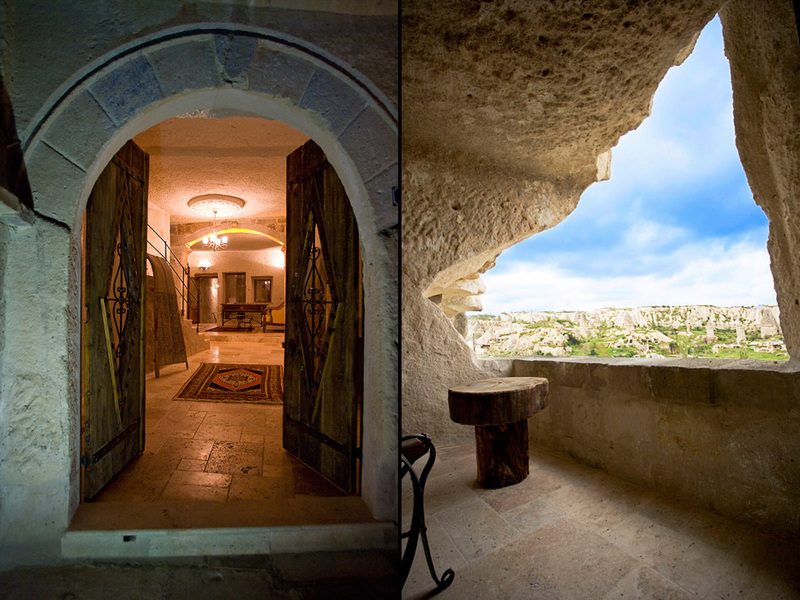 The Bible also mentions the Cappadocians as one of the first groups of people to receive the Gospel. Originating from Armenia and Greece, the Cappadocian people speak a unique dialect to this day known as ‘Cappadocian Greek’. 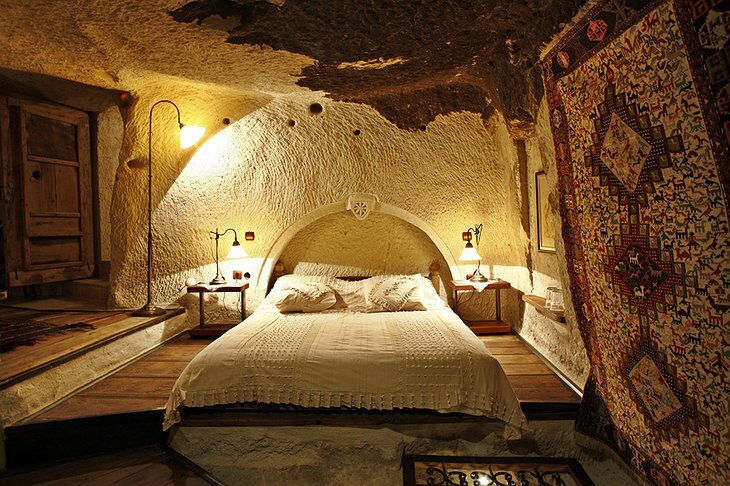 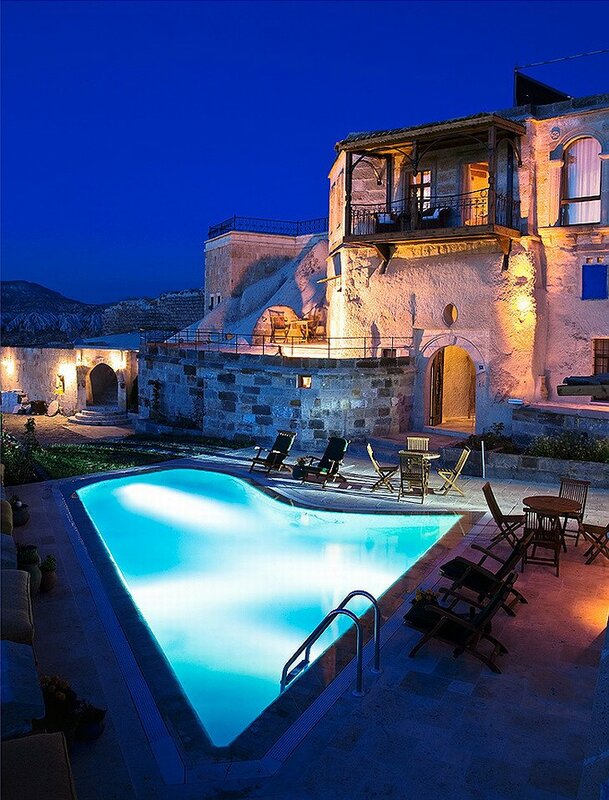 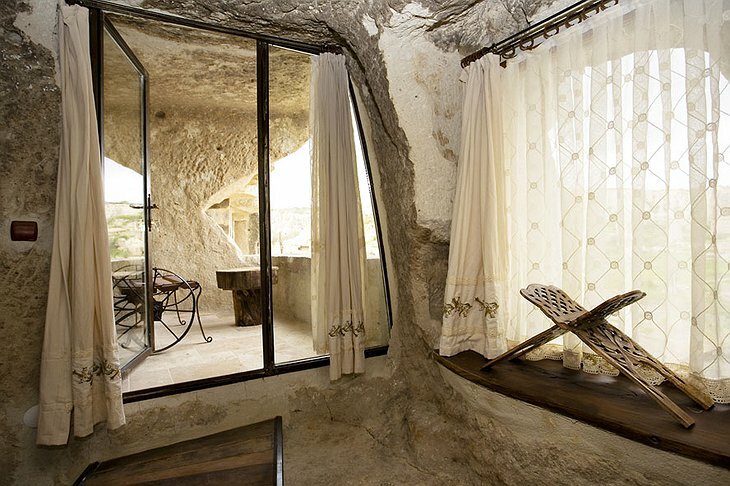 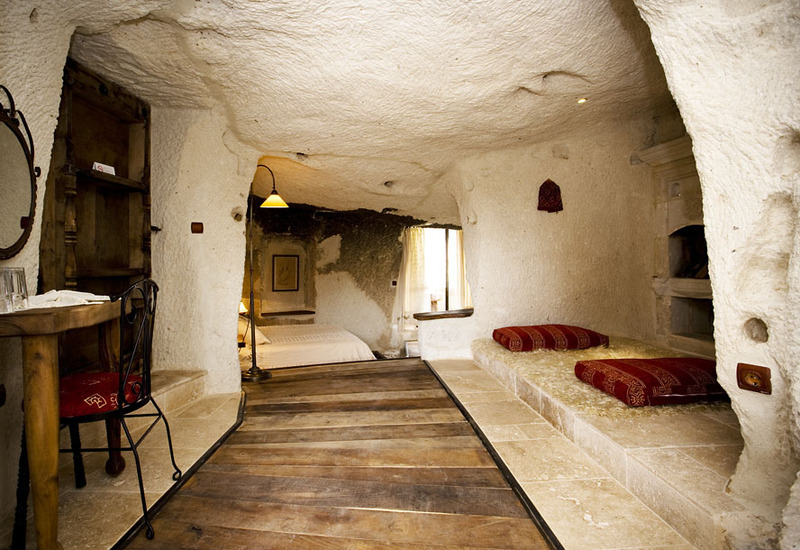 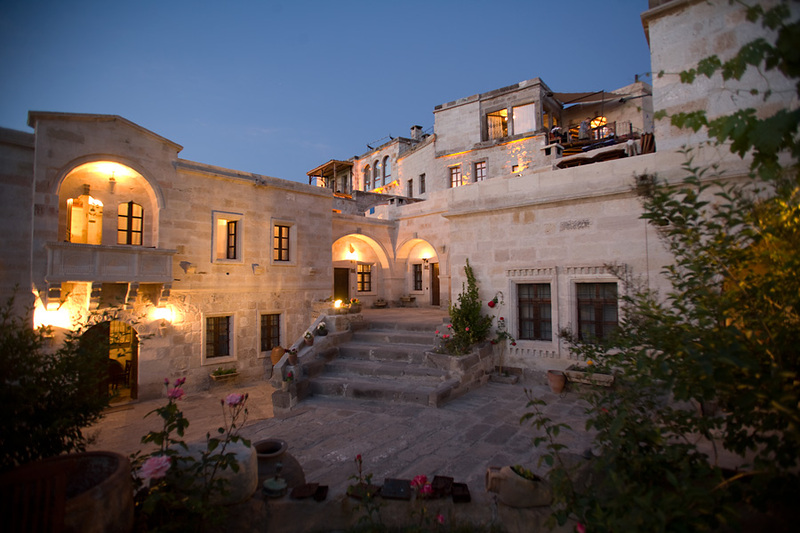 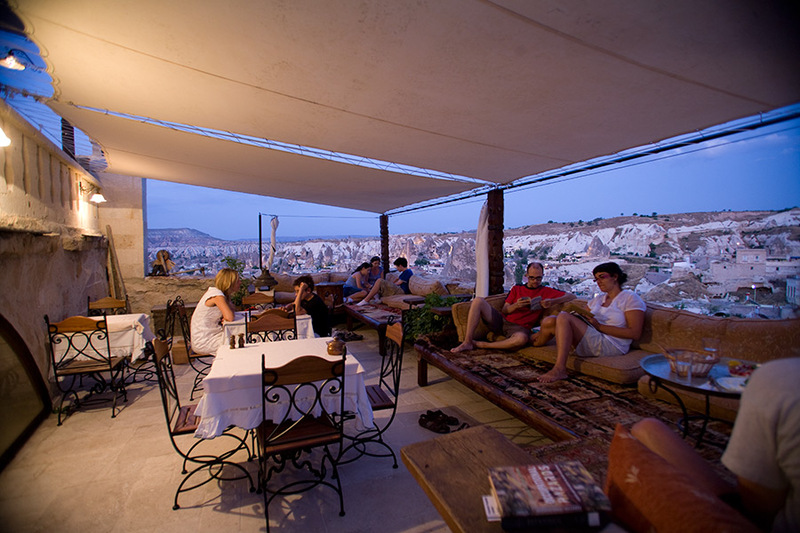 Your stay at the Hotel Kelebek allows you to experience the unusual interior of their traditional cave dwellings. 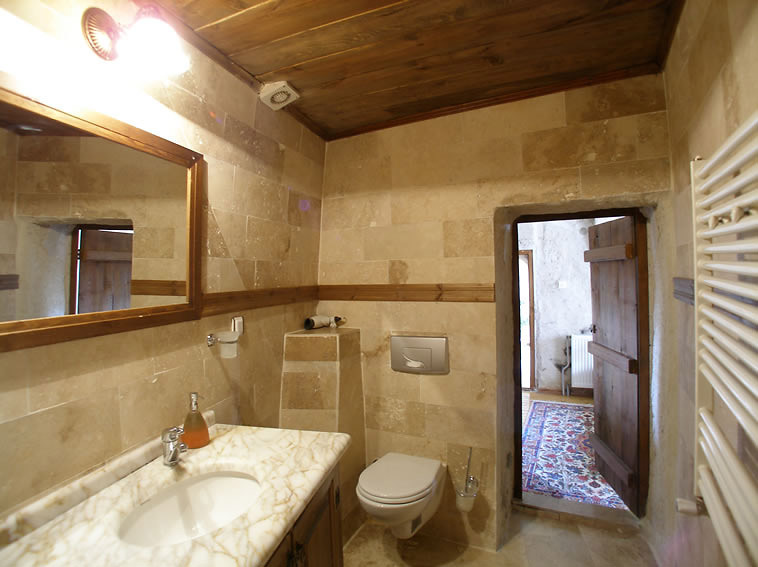 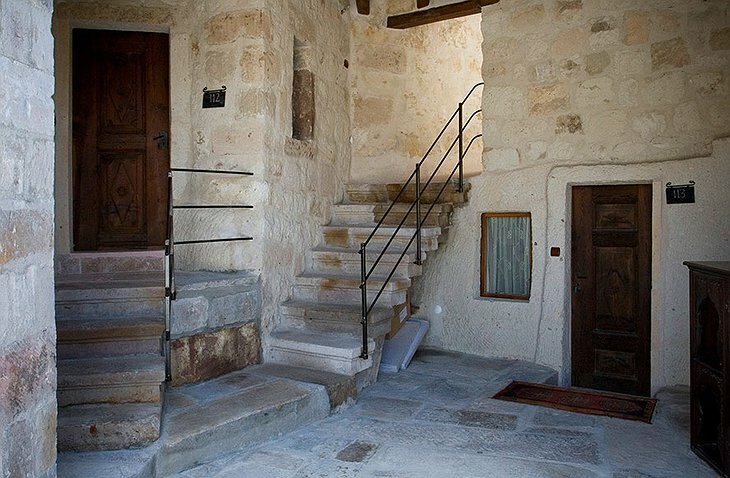 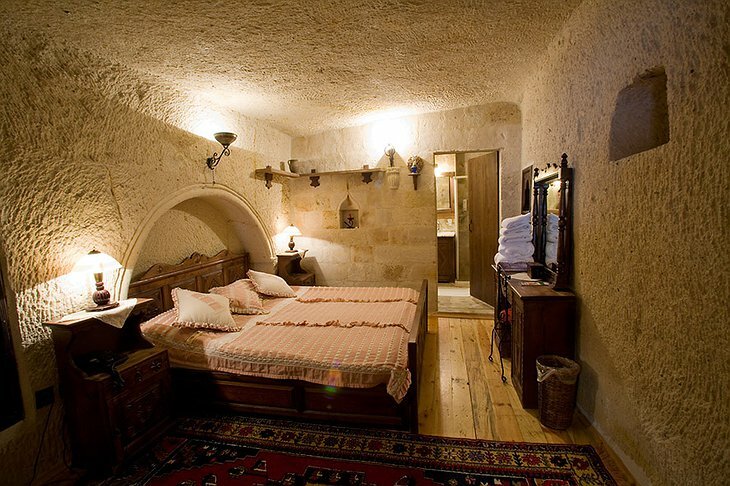 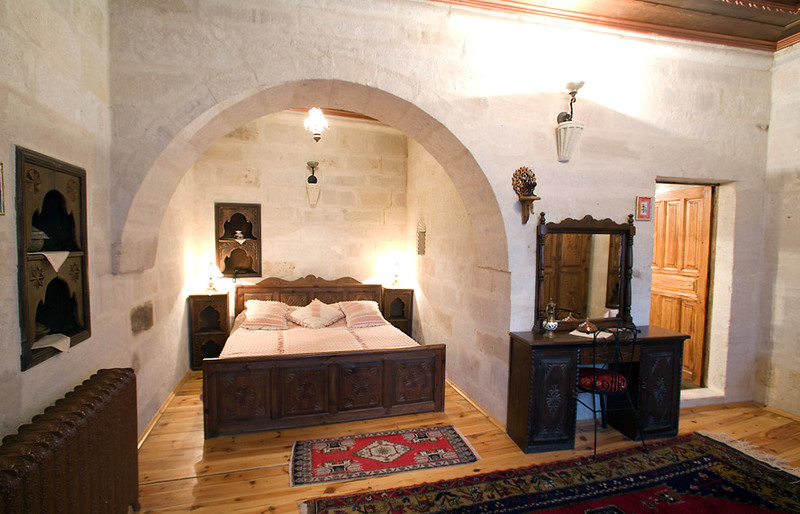 You can also select a room that used to house a medieval monk and some rooms contain ancient mosaics. 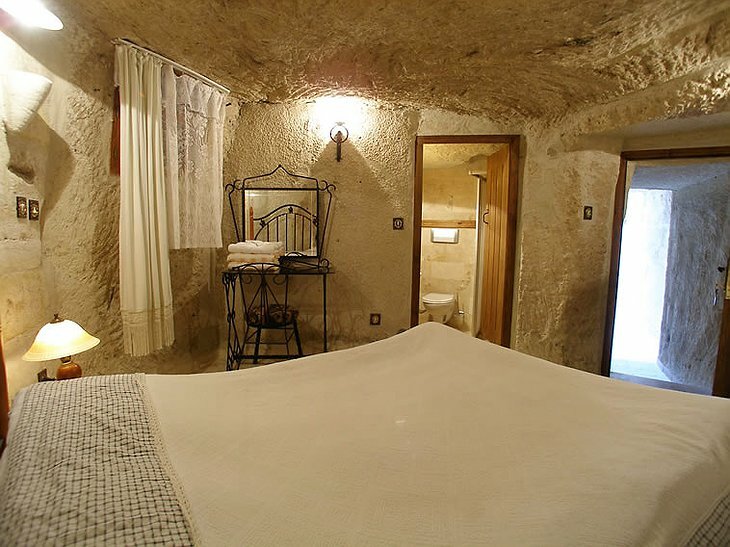 The hotel has all the modern conveniences you need so you can spend your days exploring this fascinating part of the world.